Today, businesses have unprecedented challenges of protecting their business properties, assets as well as its employees without being obtrusive and uninviting as a complete lock down system. Moreover, businesses are confronted with worker turn, robbery, intellectual property administration and unforeseeable crisis scenarios. Now more than ever, business have a need to furnish access control at some level inside their business premise to ensure their property and individuals while as of now administering business operations 24 hours a day, 7 days a week. This is a balancing act. Managed Access Control from AVI is the best solution for buildings and entryway access to the “right individuals”, when and where they require it, while even now securing the premises and ensuring a safer working environment for your staffs and employees. Where typical lock and key systems are awkward from an administration viewpoint, Access Control System from AVI is simple to install, set up and utilization. Not just are you equipped to react in a moment to a crisis scenario or make a change to worker access on the fly by means of the internet, you now have important data from the access control system at your finger tips. 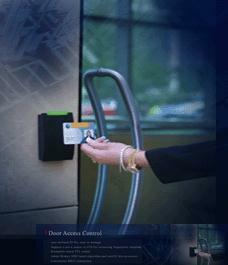 Access control system empowers your business to have a completely reconciled card holder database so you know increasingly about access entryways pattern and staff movement in your office. There is no compelling reason to have dedicated PCs, software and individuals to administer the system as the IP based system kills that need sparing you money. Access Control empowers you to administer various offices, areas, entryways and entrance consents for numerous individuals by means of the internet remotely from anyplace at any time. It couldn’t be simpler or more reliable.